The traditional and classic glass tumbler and hi ball glass has been a popular choice for restaurant glassware for many years due their versatile style and strength. 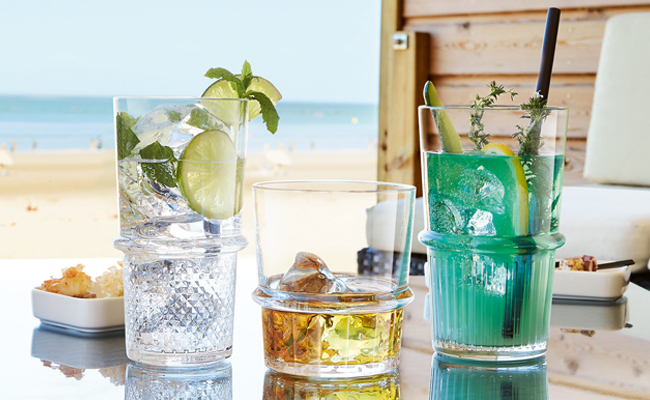 Especially designed to enhance your restaurant tabletop presentation, our simple or elaborate glassware ranges are available in a variety of sizes and shapes suitable for a range of cold beverages from cocktails to spirits and soft drinks. Almost every restaurant, bar and pub has a selection of trusty and reliable glass tumblers and high ball glasses to choose from as well as being the classic go-to glass at home too! Our extensive selection of multipurpose highball glasses have been hand selected based on their versatility, reliability and style from leading and trusted brands Arcoroc, Libbey and more! Shop online at Pattersons’ catering supplies to find the perfect glass tumbler and high ball glass to add to your restaurant glassware range today.